Norman heard the British Ambassador speak, enjoyed a version of Evita and watched the Christmas lights being turned on, in a busy week. Norman talks about Humberto and Pablo, crowd funding and food this week. Read his thoughts and an interview with Beth Griffiths. Norman enjoyed both the big Christmas Lights switch on in Playa Blanca last week, and then he headed to Teguise for the annual food fair. Norman went to a timple and guitar concert in Teguise and wrote about for us. The timple is a small stringed instrument, a little like a ukelele. Norman enjoyed a couple fo contrasting nights of culture in Yaiza and wrote about it for us. The first was a ceramics exhibition and the second a concert. 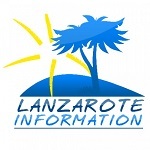 Norman reviewed The Lanzarote Gospel Choir’s recent performance, and declared it a brilliant night out.